Woodbury Magazine Online | The leading luxury publication for the affluent women of Long Island's North Shore. Competition from new lines taking an artisan approach – more dollars going to formulations versus marketing – is exploding. Here’s a look at your soon-to-be obsessions. In theory, it may be a season of color, but naturals sustain their position this spring. Beautiful whites and all hues of the earth go the distance while there’s still a place, thankfully, for beautiful brights and cool colors. Feeling “spring” wasn’t so easy on the coldest day of the year. Not only did our fashion models deliver, they shined beyond compare at the new and dazzling Italian Steakhouse, Prime 1024. 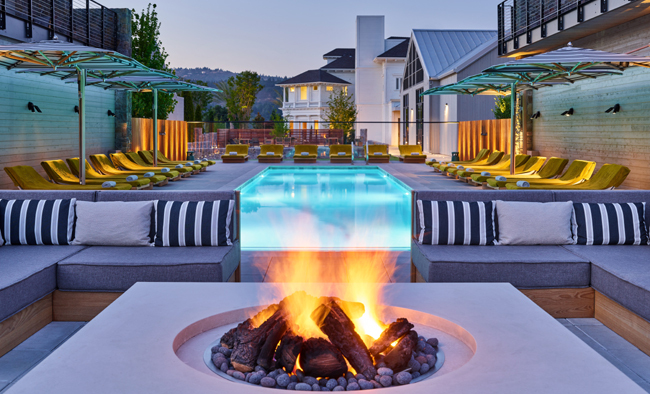 Less than two years after fires devastated much of the region, Napa Valley is back and better than ever, thanks to strong harvests, buzzy new hospitality projects and an added emphasis on creating memorable experiences for visitors. Enter the new trend in recovery and stretching studios. It’s true: working out less and recovering more may actually help you achieve your goals faster. Healthy out-of-the box breakfast options to help you fuel up without slowing you down. Don’t skip this crucial meal. A deadly strain of the adenovirus has already claimed lives. Learn about this ubiquitous virus and how you can safeguard against it. Addressing today’s headlines in women’s health, from removal of Essure in the U.S. market and HPV updates, to what’s new in birth control and preeclampsia. If you want a hint as to what tech you’ll be buying in 2019 and beyond, look no further than the annual Consumer Electronics Show (CES). The beautiful transformation of an Arts and Crafts home eases a couple’s return to the suburbs. Reviews of top-ranking new releases: More than Words by Jill Santopolo, Me for You by Lolly Winston, and kiddush.com by Nathan Englander. Look who’s out on the town. Preferable format: Hires PDF’s (300dpi) with fonts embedded is the preferred file accepted. Please name the file with the advertiser name to ads@woodburymagazine.net. Please call 516.367.4600 for any questions. Woodbury magazine captures the essence of Long Island today; lifestyle with substance. It delivers an upscale, informative solution for both advertisers and consumers seeking a luxurious, design-centric and inviting resource that offers a wealth of information to Gold Coast readers who value quality living. Created by and for affluent young mothers ages 28 to 55 (with powerful readership well beyond our core), Woodbury magazine features service-oriented editorial covering the best in fashion, food, health, beauty, travel, interiors, technology, marriage and children with a regional spin. It boasts a specially targeted approach to reach the “new” women of the North Shore. Armed with discretionary income and unique purchasing power, its readership resides within the wealthiest towns in America. The vision of the magazine parallels the special sophistication embodied in North Shore consumers; a unique combination of the trends and style of New York City partnered with the prestige of the Hamptons, without pretension. As a result, advertisers now have access to a specifically tailored environment reaching a key, targeted audience receptive to their brand. Published quarterly with targeted and powerful distribution across Long Island’s Gold Coast (plus Hamptons each summer), Woodbury magazine is revered for its quality and dedication to its readers, advertisers and charity partners. 2019, Woodbury Magazine. All rights reserved. Would you like to receive information on upcoming events, sales and promotions? Fill out your email address to sign up for the Woodbury Wire.